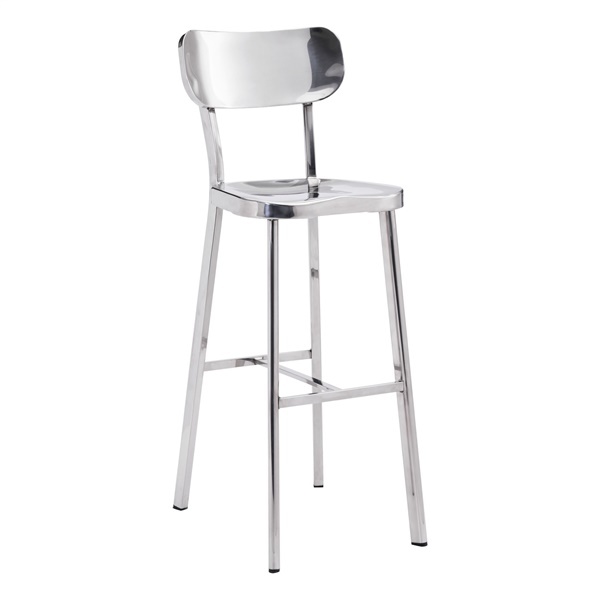 If you have a contemporary bar space in your home, you can’t go wrong with the Winter Bar Chair from Zuo. This lovely chair seems to emanate a glow with its polished stainless steel frame. These chairs also make a great addition to your business if you have a bar.